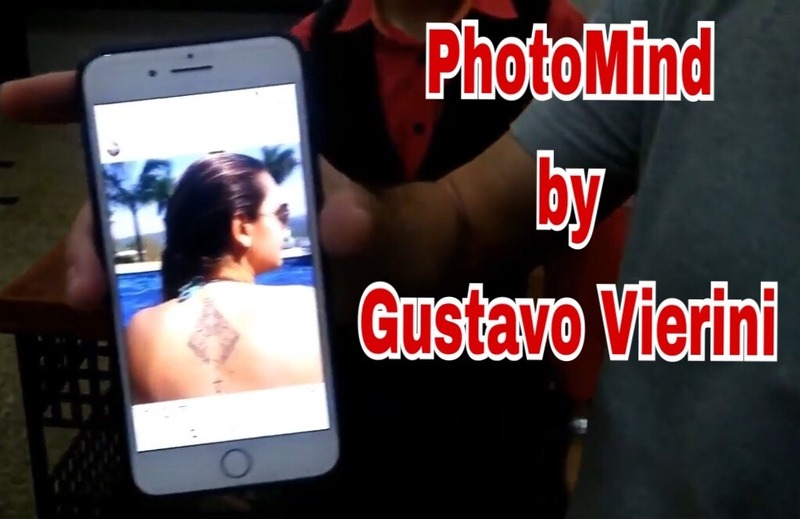 Today, when you order "PhotoMind By Gustavo Vierini", you'll instantly be emailed a Penguin Magic gift certificate. You can spend it on anything you like at Penguin, just like cash. Just complete your order as normal, and within seconds you'll get an email with your gift certificate. Gustavo Vierini is a Brazilian Magician/Mentalist/Hypnotist who loves to bring to the spectators an incredible experience of mind reading, telekinesis and mind influencing. On this project he shows how to hack into the people`s mind divining not only a picture selected at random, but also an Instagram user, chosen randomly, by anyone, anywhere at anytime. Imagine approaching a spectator and asking for their mobile telephone, then they pick any user at random and also a picture. After that they crush down the app and the Mentalist is able to describe the picture, find the user and show the picture for them. It is MIND BLOWING. PhotoMind can be performed anytime, anywhere. There is no gimmicks or apps at all and can be done with ios or android. This is an incredible effect that you can not only blown people`s mind but also an interesting way to get new followers on Instagram. Brillhant idea! I could't imagine this method. Simple, easy, great effect and you can perform anytime anywhere! I'm sure anyone who gets this will have a lot of fun, the effect is straight to the point, the method is simple and devious, I really like the fact that for such a nice effect you don't need to download any apps or learn complicated procedures. It flows smoothly..! You will also fall in love with it. I will definitely use this! I actually really like this. I first picked up social medium and played around with it for a while. It’s not a bad effect. But photomind on the other hand is in my opinion, more of a game changer. The method is so clever. When you find out the method, you’ll probably do exactly the same thing I did. LAUGH!!!! Like why didn’t I think of that. It’s really easy to do. And the video gets straight to the point. As for the price? If you consider other similar effects are being sold a little below this, they don’t offer the potential that photomind does. This is definately something I’ll be using . And it’ll help get more followers.